his songs received massive airplay when he dropped his first singles some years back. This article contains some quick facts about Ice Prince Zamani,his biography and other quick facts that you never knew. 1. 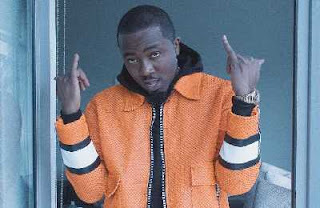 Ice Prince Zamani was born Panshak Zamani on 23 October 1986. 2. He is popularly known by his stage name Ice Prince. 3. His song titled Oleku was one of the most remixed Nigerian song of all time. 4. The major awards he has won include the 2009 Hennessy Artistry Club Tour,one BET Award, one Ghana Music Award, three The Headies Awards, two Nigeria Entertainment Awards and two Channel O Music Video Awards. 5. Ice prince became famous after the release of his debut studio album titled Everybody Loves Ice Prince, the album featured some hot tracks like "Oleku", "Superstar", "Juju" and "Magician". 6. Ice prince released his second studio album titled ''Fire of Zamani'',the album was also a success and featured tracks like "Aboki", "More", "Gimme Dat" and "I Swear". 7. Ice Prince is also the Vice President of Chocolate City. 8. Ice Prince Zamani is from Jos, Plateau State Nigeria. 9. Apart from being a rapper,Ice Prince is also a singer, and songwriter,he has been in the Nigerian music industry since 2004. 10. He is also affiliated with Super Cool Cats,a record label be founded by himself. 11. Mr Panshak was born in the city of Minna, Niger State, Nigeria. When he was just two years he moved wit his family to Jos,Plateau State Nigeria. 12. Ice Prince Attended St. Murumba College. He also attended the Science Tutorial College in Jos. 13. Ice Prince started writing raps in 1999,but started recording at studio's in 2001. 14. He and his group of friends formed the group called "Ecomog Squad",which later split that same year. 15. Ice prince once sang in his church choir,after the dissolution of his crew,he began to sing Tenor at his church choir. 16. In 2004, he became friends with M.I, Jesse Jagz, Ruby, Lindsey, Eve, Taz, and together they called themselves the "Loopy Crew". 17. Ice Prince was admitted into University of Jos to study Zoology but could not continue because of some financial constraint. 18. Ice prince dropped out of school when he was in 100 level. 19. Ice Prince moved to Lagos with MI and Jesse Jagz,they were accommodated by Djinee before they got their own apartment. 20. Ice Prince has a son named Jamal with his former girlfriend named Bimbo Babatunde. He also disclosed that he dated Eva Alordiah when he first relocated to Lagos.